The College of New Jersey (TCNJ) has created a culture of constant questioning. 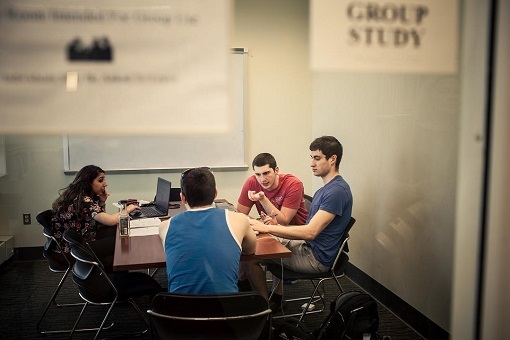 In small classes, students and faculty members collaborate in a rewarding process. They seek to understand fundamental principles, apply key concepts, reveal new problems and pursue lines of inquiry to gain a fluency of thought in their disciplines. This transformative process is at the core of the educational experience at The College. 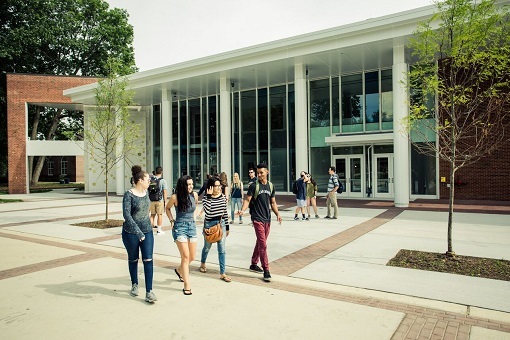 In order to enhance student development and empowerment, TCNJ's curriculum is built around five key experiences which permeate every major across seven academic schools. Small classes prioritizing discussion and inquiry create a Personalized, Rigorous, and Collaborative Learning Environment where students and faculty work side by side in developing skills and applying concepts. Undergraduate Research, Mentored Internships, and Field Experiences give TCNJ students opportunities to get out of the classroom, develop their professional skill sets, and discover exciting career paths and academic endeavors. Passion for civic responsibility and a commitment to Community-Engaged Learning ensures that TCNJ graduates enter the professional world as top-notch scholars and citizens. Opportunities for Global Engagement found on campus and facilitated through internationally recognized study-abroad programs allow students to expand their internal scope and frame their academic goals and achievements in a truly global context. Finally, academic and extracurricular programs designed to foster Leadership Development help students build confidence and decision-making skills that they will need to solve the problems of tomorrow and build a brighter future. TCNJ admits a diverse class each year full of ambitious students, eager to build on their educational foundations and dive into new topics. These students will ultimately find a home away from home on campus, and ninety-five percent of first-year students will return for their second year. The most successful admits are prepared to steer their own academic pursuits toward post-graduation goals of graduate school, professional training, or satisfying careers. Prestigious graduate schools, including the University of Pennsylvania, Georgetown Law School, Maxwell School at Syracuse University, NYU Law School, and Harvard, Yale, and Northwestern Universities, routinely welcome TCNJ alumni into their ranks. TCNJ graduates boast a 64% acceptance rate into Medical School and an 88% acceptance rate into Law School. Many top corporations recruit TCNJ graduates, providing avenues into rewarding jobs directly after graduation. Other barometers of student success include the 100 percent pass rate of education majors taking the state teacher preparation test and the 94 percent three-year pass rate for nursing students obtaining their license. The numerous learning opportunities at The College prepare students to prosper in any arena after the completion of their undergraduate career. 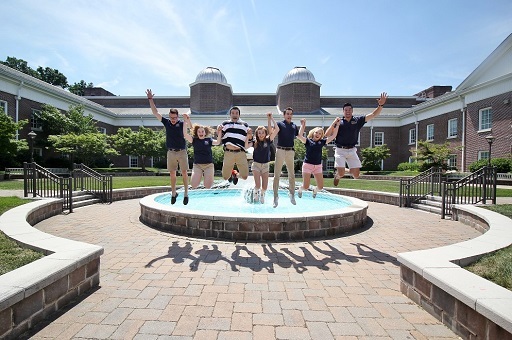 The admissions committee at TCNJ accepts a class of motivated, ambitious, and highly talented students. Most successful applicants have taken 16 college-preparatory units in high school, demonstrating mastery of the core academic areas of Science, Math, Language Arts, Social Sciences, and Foreign Languages. They also show impressive class ranks and SAT/ACT scores. Most students admitted fall within the top 20 percent of their graduating class. The committee also considers extracurricular involvement, individual pursuits, and community participation. Standardized test scores are not required for students applying into the Art or Music disciplines. The College of New Jersey is Common Application exclusive. The application deadline for Spring enrollment is November 1. The Regular Decision application deadline for Fall enrollment is February 1. There is a $75 application fee. Candidates who apply only to The College of New Jersey under the Early Decision agreement may apply before November 1 and will be notified on or before December 1. Early Decision applicants unable to complete and submit their application prior to November 1 may also choose to apply before January 1 and receive notification on or before February 1. Students applying to the seven-year Accelerated Medical program must apply by November 1. For Fall enrollment, the College requires incoming students to pay an enrollment deposit of $600 no later than May 1. A Liberal Learning Curriculum ensures that all students are grounded in the values of civic responsibility, intellectual and scholarly growth, and that they receive a well-rounded education in the liberal arts. In 2004, the College completed a transformation of its curriculum requiring students to complete fewer courses, while adding depth to each course pursued. All courses have been transformed and contain significant out-of-class requirements that provide for student and faculty interaction. These small classes enable dialog between students and TCNJ's accomplished teaching staff. This staff is composed of professors with terminal degrees in exclusivity; no courses are taught by graduate students or Teacher's Assistants. The College shapes its curricula and educational experiences around the concept of Personalized, Collaborative, and Rigorous Intellectual Development. The required First-Year Seminar, the cornerstone of the Liberal Learning program, introduces students to the habits of mind and the methodologies of research; The seminar format of no more than 15 students reinforces the message that students are not passive recipients of knowledge but rather active contributors in their own learning. Liberal Learning requirements are grouped by diversity and community engagement goals that can be self-designed or designated as interdisciplinary concentrations. Top students may enroll in TCNJ's Honors Program, designed to provide a core curriculum with additional challenges and opportunities for individualized work. Most honors classes take an interdisciplinary approach and encourage collaboration between faculty and students from multiple academic departments and disciplines. Independent study arrangements fall easily within the parameters of the Honors Program, as well. In addition to full degree programs, students may also choose to complete a minor in most disciplines offered as majors or in other subject areas, such as Classical Studies, Comparative Literature, Religion, Public Administration, and Communication Disorders. TCNJ offers a number of 5-year combined Master of Arts in Teaching degrees with dual certification in Elementary Education, and either Special Education, Urban Education, or Deaf and Hard-of-Hearing Education. Students may also enroll in a 7-year BS/MD degree program with the New Jersey Medical School (Newark) or a 7-year BS/OD degree program with the State University of New York College of Optometry. The College offers a Medical Careers Advisory Committee for premed students and a Pre-Law Advisement Committee for students planning a career in law. 64 percent of TCNJ undergraduates seeking Admission into Medical School and 88 percent of TCNJ undergraduates seeking Admission into Law School are accepted into their top choice programs. Both of these figures significantly exceed national averages. According to PayScale.com, 45 percent of College of New Jersey graduates would describe their careers as helping to improve the world. With a median starting salary of $54,400 for alumni, the most popular post-TCNJ jobs include software engineer, project engineer, and marketing coordinator. The most popular majors are Computer Science, Finance, and Psychology. Professors “often email students with internship…opportunities” and students praise the plethora of internships available and the study abroad options, which help connect them to the global job market. 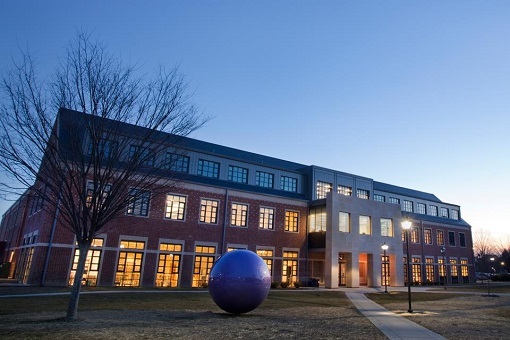 With its strong “academic focus,” The College of New Jersey produces “successful and prepared graduates.” The school's Career Center puts on events such as the Fall Engineering and Computer Science Networking event, the Fall Opportunities Fair, and Student Career Forums. According to one Political Science major, students “think about their futures here at TCNJ, and they're always wondering what the next step will be” when it comes to jobs or graduate school. Over 50 percent of full-time undergraduates benefit from financial aid, whether from merit-based scholarships, work-study programs, loans, or government/institutional grants. All students seeking financial aid at the state or federal level must submit the Free Application for Federal Student Aid (FAFSA) form or renewal FAFSA to apply. The Title IV FAFSA Code for The College is 002642. TCNJ also offers institutional need-based scholarships. Institutional need-based aid considerations are made based on information from the FAFSA. Students may compete for the College's merit scholarships. These awards are offered to those applicants with top SAT/ACT scores and class rankings. Over the last six years, TCNJ has given scholarships totaling more than $30 million. Classroom learning at TCNJ is complemented by an extensive and acclaimed Leadership Development Program. Life outside the classroom is not something students do on the side. It is an extension of the learning experience. At every turn from the first year on, students blur the boundary between living and learning, closing the gap between "scholar" and "citizen." 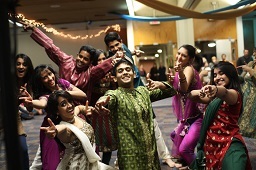 More than 250 student organizations flourish at The College. Right off the bat, students are encouraged to discover their passion through the various clubs and activities offered. Anyone can find an intramural sports team, Greek organization, cultural club, or academic group to suit their interests. Many students build friendships as well as personal networks and optimize their leisure time participating in these groups. 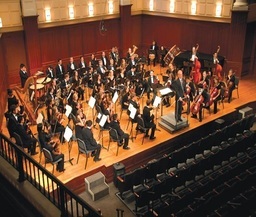 In addition, the College Union Board-administered by TCNJ students-organizes large-scale events including concerts, performances, and comedy shows. The College's highly successful Division III athletic programs also provide an opportunity to socialize and cheer on fellow classmates. TCNJ fields ten sports for men and ten for women. With more than 40 national titles, The College holds the record for the highest number of championship and runner-up titles since Division III was implemented in 1979. For those looking for something a little less competitive, intramural and club sports, including flag football, volleyball, softball, floor hockey, and basketball, have thriving coed leagues of their own. Intramural and club teams play in state, regional, and national tournaments. Neoclassical Georgian Colonial architecture, meticulous landscaping and intentional design merge to meet the evolving needs of the TCNJ community. Students enjoy a campus with 289 acres of trees, lakes, and open spaces within the suburban setting of Ewing Township, New Jersey. Two out of three undergraduate students take part in the on-campus residence hall experience. The residence halls vary in configuration from the first-year towers to suites and townhouse arrangements for upper class students. 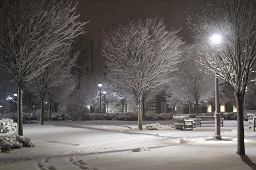 The College ensures that on-campus housing is available to all students in their first two years, with out-of-state students guaranteed to receive housing for all four years of study. Nearby cities, such as Princeton, Trenton, Philadelphia, and New York, allow for abundant entertainment, employment, and social options. Many courses incorporate field trips to New York City or Washington DC. In 2015, TCNJ completed the first phase of the Campus Town project. Adding an attractive downtown component to an already appealing campus, Campus Town offers students brand new residential opportunities, a pristine Barnes and Noble bookstore and cafe, and a comprehensive fitness center. Retail and dining establishments such as Panera Bread, Yummy Sushi, and Landmark Americana have been incorporated as well. Learning, like everything else, is contextual. The surroundings in which students learn and the tools they use influence their experience. Not surprisingly, the College supports its educational aspirations with careful attention to the quality of its facilities. 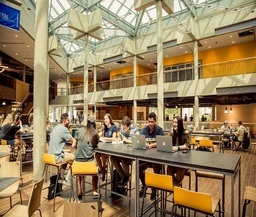 In the first quarter of the 21st century, more than $250 million in ongoing and new facilities construction is ensuring that TCNJ students continue to thrive in an environment that not only meets their academic, athletic, social and living needs, but extends their reach resulting in higher scholarship, better health and fitness, closer community, and greater comfort. Recent additions to campus include the Campus Town project, a newly renovated student center, and a state-of-the-art STEM Complex. TCNJ fosters global engagement with a robust offering of programs that build students' intercultural competence. For education abroad, TCNJ offers an extensive portfolio of short-term and long-term opportunities through study abroad partnerships, faculty-led programs, global student teaching, and internships. TCNJ welcomes global students and provides support services such as personalized language support and academic advising. Mentored internships, both on and off campus, expose students to career options as they gain professional skills. With the College's location providing easy access to New York, Philadelphia, and other corporate centers, numerous internships are available either for pay or college credit. Faculty mentors lend their advice and help students locate and procure appropriate opportunities including fellowships, research positions and internships. 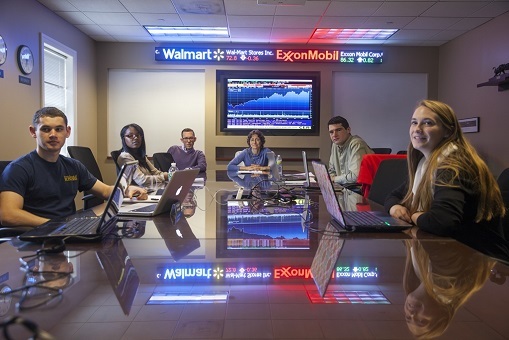 Students may also use resources at the Career Center to find positions in New York, Philadelphia, or with one of TCNJ's many corporate, government, or research partners located closer to campus. A psycho-educational or neuropsychological evaluation that provides a diagnosis of a specific learning disability must be submitted. A statement indicating the current (eleventh/twelfth grade) status and impact of the learning disability in an academic setting should be included. If another diagnosis is applicable (e.g., ADD/HD, mood disorder), it should be stated. The evaluation must be performed by a professional who is certified/licensed in the area of learning disabilities. The evaluator’s name, title, and professional credentials and affiliation should be provided. Directions to the Campus From I-80 Take I-80 East to the U.S. 206/Route 183 exit. Keep right at the fork in the ramp. Merge onto US 206. Take the I-287 South ramp toward Somerville (I-78)/Princeton. Merge onto I-287 South. Take the US 202 South/US 206 South exit. See directions below from *Continue on US 202 South. From the New York State Thruway Take the New York State Thruway/I-87 South. Take the I-287 South/Route 17 South exit. Merge onto I-287 South. Take the US 202 South/US 206 South exit. *Continue on US 202 South. At the Flemington Circle, continue on US 202/31 South. Exit US 202/31 onto Route 31 South (Trenton). Follow Route 31 South until the entrance to the College (about 1.5 miles past the junction of I-95, left at the third traffic light). From I-95 South (Delaware/Philadelphia International Airport) Using I-95 North, continue into Pennsylvania, through Philadelphia. Continue on I-95 North into New Jersey. Take exit 4 (Route 31/Pennington Road). Bear to the right off the exit ramp, you will be traveling south on Route 31. At the third traffic light (about 1.5 miles), make a left into the College entrance. From I-295 South (Camden/South Jersey) Take I-295 North (becomes I-95 South) to exit 4. Turn left at the exit ramp onto Pennington Road/Route 31 South toward Ewing. At the fourth traffic light (about 1.5 miles), make a left into the College entrance. From Route 78 (Easton, PA and the West) Take Route 78 East into New Jersey. Continue to exit 17 (Route 31 South/Flemington and Trenton). Continue south on Route 31 into the Flemington Circle. Take Route 202/31 South. Exit at Route 31 South (Trenton). Follow Route 31 South until the entrance to the College (about 1.5 miles past the junction of I-95, left at the fourth traffic light). From the Pennsylvania Turnpike (Pittsburgh, PA and Ohio) Take the Pennsylvania Turnpike/I-276 East to the Philadelphia/US 1 exit. Keep left at the fork in the ramp. Merge onto US 1 North Lincoln Highway. Stay straight to go onto US 1 North. Take the I-95 North exit toward Trenton. Merge onto Delaware Expressway/I-95 North. Proceed into New Jersey. Take exit 4 (Route 31/Pennington Road). Bear to the right off the exit ramp, you will be traveling south on Route 31. At the fourth traffic light (about 1.5 miles), make a left into the College entrance. From Long Island Take the Verrazano Bridge to Staten Island. Stay on 278 West to Goethals Bridge. After crossing the bridge, take first exit for 95 South (NJ Turnpike). Follow directions from NJ Turnpike below. From U.S. Route 1 (New Brunswick and North) Using Route 1, travel south and take the I-95 South exit toward Philadelphia. Take exit 4 (Route 31/Pennington Road). Turn left at the exit ramp onto Pennington Road/Route 31 South toward Ewing. At the fourth traffic light (about 1.5 miles), make a left into the College entrance. From the New Jersey Turnpike (Newark International Airport and North) Using the New Jersey Turnpike, travel south to exit 7A, Trenton and Shore Points. Follow signs toward Trenton onto I-195 West. Follow signs marked 295 Princeton/Camden. Exit at “I-295 North/Route 1/95 South/Princeton.” Continue on I-295 (becomes I-95 South) to exit 4. Turn left at the exit ramp onto Pennington Road/Route 31 South toward Ewing. At the fourth traffic light (about 1.5 miles), make a left into the College entrance. From the Atlantic City Expressway Take the Atlantic City Expressway West (toward PA). The expressway ends at Route 42. Follow Route 42 North to I-295 North. Continue on I-295 North (becomes I-95 South) to exit 4. Turn left at the exit ramp onto Pennington Road/Route 31 South toward Ewing. At the fourth traffic light (about 1.5 miles), make a left into the College entrance. From The College entrance Make a right onto the main access loop around campus. The information booth is on the left in front of Paul Loser Hall.